Elections are possibly the best opportunity you have, a community has, of putting your wishes and/or concerns to Council (any Government actually). Those of us who do stand a better than even chance of having their issue addressed. Alert to this, Council’s CEO has asked for the newly elected members to advise what your wishes were/are. He will compile the lists we each provide him into a consolidated list of your wishes. Council will then be in possession of a comprehensive list. During my many conversations with you and your neighbours I received quite a list of concerns or requests. They range from provision or lack thereof of basic council services, to issues that require lobbying the State Government. They included differing opinions about some projects. The list of your issues, concerns and/or simply observations I received were numerous. The list below I am providing our CEO as my contribution on your behalf. Improvement in rate of removing trip hazards from footpath, noting rate payers are not generally aware of the role they can make in achieving this by reporting the hazard. Request that trip hazard level of service be improved upon (smaller heights to be included). Absence of (need for) Cat by-laws. Safety gates at Clarence Park Rail Station. Lack of response by Council to concerns raised. More emphasis on pedestrians when considering walking, cycling plan. Conversely bike riders concerned safety measures for pedestrians (kerb build outs) put cyclists at greater risk. Wish to see nuisance trees removed or better managed. Concerns over nuts from Queensland Box trees. Get on with Goodwood Oval grandstand replacement. Restrict clubs use of Goodwood Oval facilities. Parking controls around Goodwood Oval….noting polarised views. Controlling noise nuisance around Goodwood Oval and Millswood Sporting Reserve. Removal of waste bin left permanently in carpark at Goodwood Oval. Turn Page Park into a dog park. Alternate request at Page Park. Keep dogs away from tennis and gym equipment at Page Park. Find a way to get Goodwood Saints Tennis Club back on the hard-court courts at Millswood (Goodwood Oval). Move diesel (cancer causing) freight trains from Belair line. Get Government to tell us what will happen to South Road through Black Forest. Get rat runners away from local streets. Parking problems in Addison Road (and others) in Black Forest. In particular cars parking across from residential driveways in narrow Black Forest Roads). Traffic speed also in Addison Road, particularly at bend in road east of Gordon Road. Build new clubroom for Millswood Croquet Club (a significant number of their members live in my ward as it turns out). Concerns with over development, and CAP/SCAP approving “ugly” buildings. A want to see more green verges. 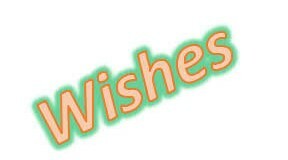 If I have missed any of your wishes please let me know.